I have a book on my office bookshelf called the “Alternative Energy Sourcebook 1991.” It’s a catalog of sorts from the Real Goods Trading Corporation that offers solar modules and any number of micro-hydro and other renewable systems. So I’ve had a long-standing interest in solar and renewable energy. I keep it around to remind myself how far we’ve come in terms of the technology and the capacity to serve as a real energy resource. I didn’t get a chance to actually work on renewable energy until I came back to Oregon in 1998 to work for the Citizens’ Utility Board of Oregon (CUB). CUB represents residential ratepayers and while most consumer advocates are just focused on energy as a pocketbook issue, CUB also looks at energy from the perspective of Oregonians’ values. Oregonians care where their energy comes from, they want to invest in energy efficiency and renewable energy, they want clean up our energy grid. At CUB, I was involved in the start-up of the Energy Trust of Oregon who’s mission is to use ratepayer’s money to acquire energy savings and support renewable energy development. 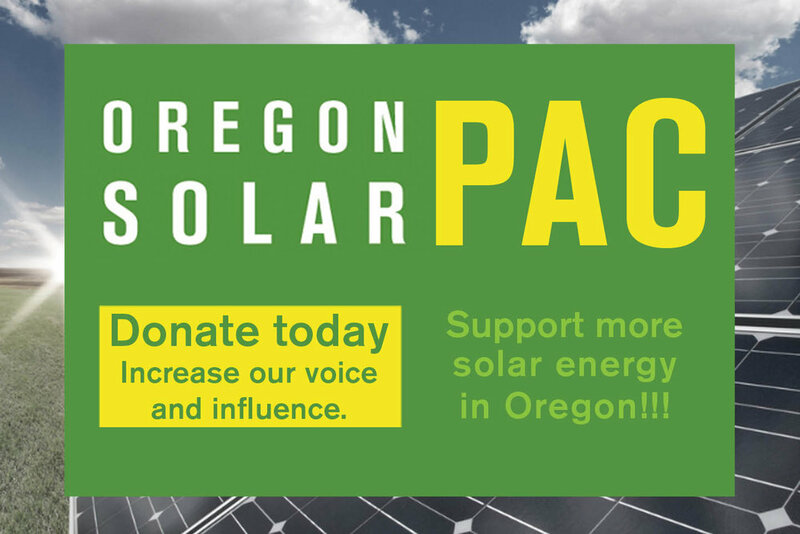 I helped OSEIA in the mid-2000s get the current $6,000 over four years tax credit that helped Oregonians “right-size” the solar system on their homes. I helped design and advocate for the initial Renewable Energy Standard in 2007 and have helped defend and strengthen it over the years. Jeff speaking on behalf of CUB at Lobby day many years ago. In short, I’ve been a policy wonk focusing on creating opportunities for the folks who do the “real work” of installing and developing solar. After coming to OSEIA in early 2016, I took an installer training at SolarWorld to get a sense of what rooftop installers are encountering. In the fall of 2016, I was able to visit a utility-scale development in Lakeview, Oregon. It hit me that although it’s so important to have the right policies in place, those policies don’t mean anything without the boots on the ground (and the roof) to actually make it happen. I think it’s a real privilege to be able to work on good policies that allow extremely smart and skilled crafts people literally install a cleaner energy system. I’m not the only one who thinks it’s pretty great. I often wear a lapel pin in the shape of OSEIA’s logo and I get asked about it quite a bit. When I say, “I work for the solar industry,” the most common response I get is, “cooool!” And, I must say, I have to agree. Jeff being interviewed by KGW news at the 2016 Oregon Solar Energy Conference.